Joe Pittas was born in Anderson, South Carolina. He spent most of his youth growing up in Chicago, Illinois. 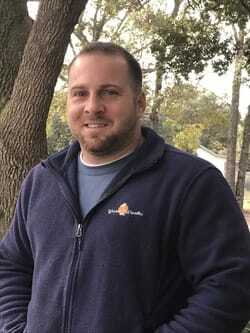 He found a love for being outdoors and landscaping and worked for 13 years at QualityScapes Landscaping in Streamwood, Illinois. He spent years learning the extensive details of maintenance, installations, irrigation and the design-build side of landscapes and hardscapes. Newly hired, Joe joined YardWorks in December 2016 and jumped right in, helping with our landscaping crews and customers. His initial focus here will be meeting with customers to estimate clean-up projects, mulch & pine straw installations, sod and seasonal projects like palm tree and accreted land pruning. Joe and his wife Brandy live in Summerville with their 2 dogs.